Discover how an office phone system can automate your business by automatically routing calls 24 hours a day seven days a week, reduce time spent with unwanted and annoying phone calls, eliminate the need for a costly fax line, automatically route calls to you while you are on the road, and make you and your associates more available to your customers. If you are interested in the purchase of a new phone system and you need it to be fully supported ESSI is a wise choice. We perform the initial phone system programming for free with 60 days of updates. We also provide lifetime support and training. The Univerge 9100 is NEC's latest high end accomplishment that is a replacement for the SV8100. What makes this a class act phone system besides all of the advanced features is the selection of phones. The Univerge SV8100 is the direct replacement for the Elite IPK. Available in three models to meet the needs of any size business, school, or hospital. Can be adapted to upgrade an existing Electra elite IPK phone system. 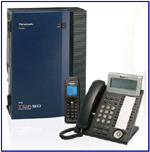 The 1100 is an affordable advanced phone system that can affordably grow to 96 phones. What is so unique about the SL1100 is you only pay for as much of the system as you need and no more. The TDA50G is truly a master piece for small business communications with the need of less then 24 phones. 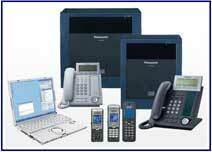 Most notable capabilities are: cordless phones with range extenders, IP phones, SIP trunks, and voice mail to email. The Panasonic KX-TDE family of phone systems is available in three different sizes to meet the needs of business with the needs of up to 900 phones or more. The 100 is a great choice for business with the needs of a system with 24 phones on up to 64 phones. The 200 is a wise choice with the needs of up to 125 phones. The 600 is a multi cabinet system that can grow in intervals up to 900 phones and more. Is Panasonic's newest creation set for release in 2015 that will meet the needs of small to large business with it's affordable expansion capabilities. Discover how a home phone system can automate you home with auto attendant, public address, and room monitoring for the little ones. How EZ can installing a digital phone system be? The NEC and Vodavi are a two wire phone systems. This means that every telephone needs only two wires connected to the control unit to operate the phone. By following our EZ installation diagrams and purchasing a installation cable and block kit you will see how EZ installation can be. Wiring diagrams available for EZ installation and programming. Installation cable and block kits available for the NEC, Panasonic, and Vodavi Phone Systems. Basically a digital phone system is a phone system. They all perform the same basic functions and features. We have found the quality of a name brand phone system such as NEC, Panasonic, Samsung, & Toshiba are very good systems. They do not fail. The bottom line is: it is all about the price of the phone system and who you feel comfortable doing business with. Our NEC and Panasonic office phone systems work well in many industries such as investment firms, real estate offices, mortgage offices, the movie industry, automotive body shops and auto repair shops, sales offices, supply houses, auto parts stores, homes, home offices, manufacturing plants, factories, retail stores, doctors offices, restaurants of all types, and a whole lot more.